The Vein Institute is a new vein treatment practice in Chattanooga, Tennessee created in October of 2016 by the surgeons at Southern Surgical Arts. The Vein Institute uses cutting-edge technology in the minimally-invasive treatment of vein disorders for men and women of all ages. While the practice is new, the surgeons are not. They are busy balancing their time as cosmetic surgeons at Southern Surgical Arts, while also treating patients with vein disease at The Vein Institute. ClearPivot had already been successfully managing inbound marketing for Southern Surgical Arts for several years, by the time The Vein Institute opened its doors. So it was a clear choice for them to turn to us for an inbound marketing retainer to help create an online presence and build up their practice through lead generation. As you can imagine, vein disease treatment is a pretty niche business. When The Vein Institute first came to us, they had a basic WordPress website and a few dozen patients that they were able to refer from Southern Surgical Arts. So we were challenged with the task of creating a meaningful online presence for an extremely narrow target audience to generate as many net new prospective patients as possible. First, we had to address the issue of the basic WordPress template website. Now, there’s nothing wrong with having a WordPress site, but it does have limited capabilities and doesn’t always sync well with more advanced marketing and reporting tools. So we set up The Vein Institute with a new HubSpot account and migrated their WordPress site. This enabled us to create custom forms and landing pages for their site and access accurate metrics for our monthly reports. It also significantly increased their page load speed (very important for both SEO and for, well, not frustrating your site visitors), and encrypted the website connection for improved security. Next, to really establish immediate visibility with people looking for vein help, The Vein Institute needed ongoing PPC ads. If you’ve ever worked with PPC ads, you know that sometimes finding the right keyword recipe can be more of an art than a science, especially with a very niche subject matter area. It took a few months of tweaking everything to finally find the sweet spot, but we got there! Once we got rolling on everything in our inbound marketing retainer with the client, things really started to take off! 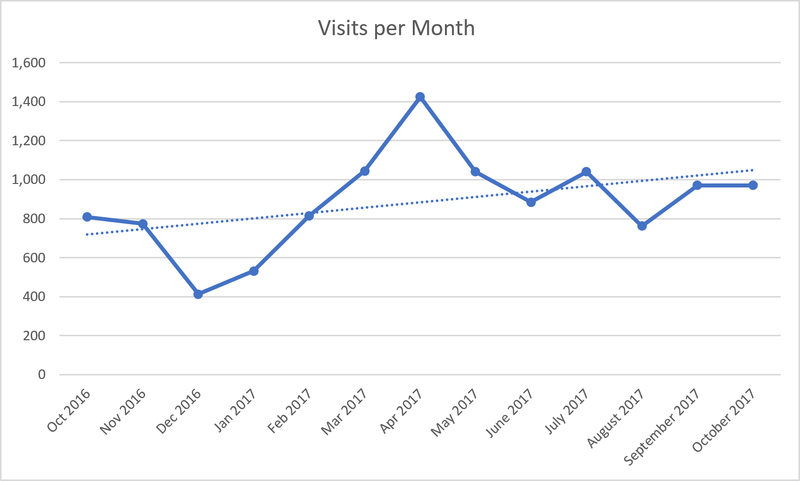 From October 2016 to October 2017, the client’s monthly website traffic grew 46%. That’s nice, of course, but more importantly, it was qualified traffic that converted into leads. 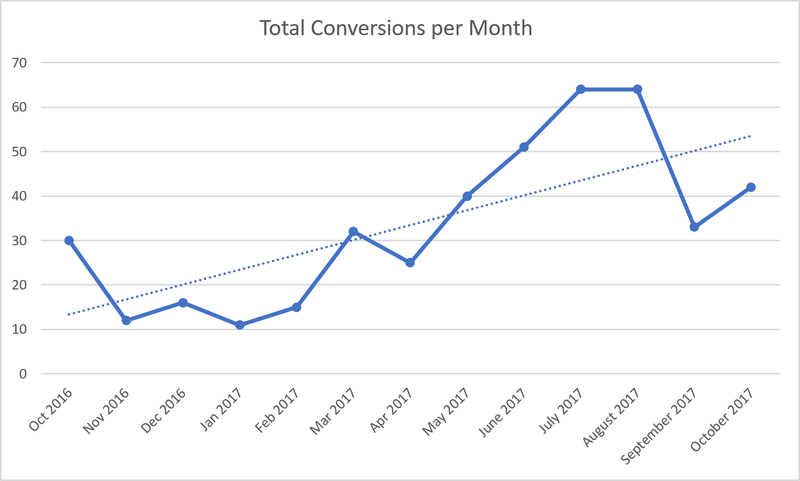 In that same time period, we saw monthly website conversions (ie. leads) grow an astounding 342%! 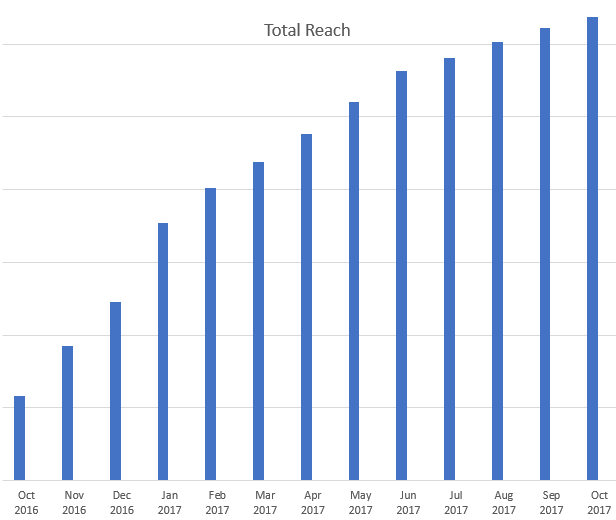 A few other key stats: Our inbound marketing retainer for this client helped increase their total audience reach by 450% in this same time period. Thanks to our Facebook marketing work, they had a 452% increase in FB followers. And the Vein Institute’s monthly email audience reach increased by an outstanding 405%! Needless to say, this client is very happy with the results of our work together, and we continue to work with them to this day. On average, most businesses experience single digit annual growth if they’re lucky. The Vein Institute results blew that statistic out of the water with their triple digit growth. We couldn’t be more pleased with the incredible results that we saw in the first year for this new business. Do you manage marketing for a healthcare practice? If you’re looking to make improvements to your own practice’s marketing, let’s talk. It’s quite possible that we could achieve similar results for your company as well.